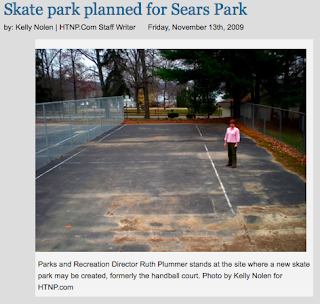 Well it looks like we earned out place at Sears Park and received a positive response regarding this years temporary skatepark. We're hoping to move onto bigger and better things for 2010 and it looks like Ruth Plummer at Parks & Rec. and the town is in our favor. All in due time!